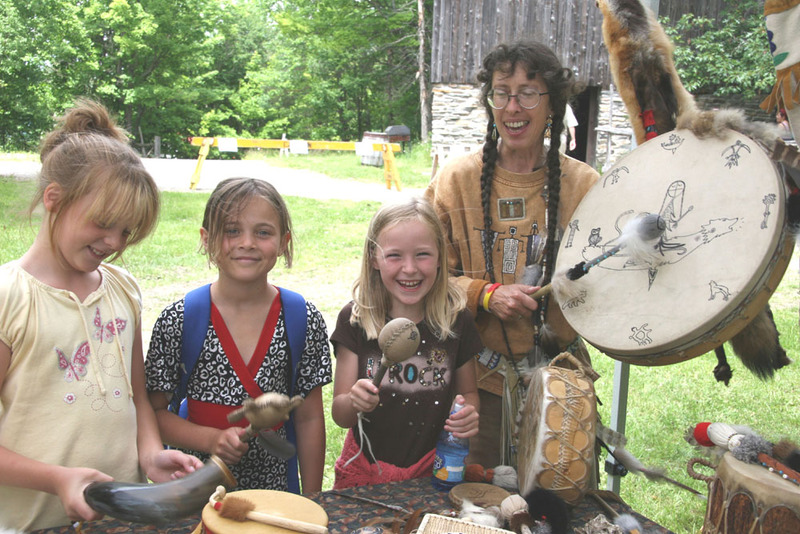 I am probably best known as a shaman / healer in Muskoka and Southern Ontario. I am a Registered Nurse and a Jungian Therapist by training, but, first and foremost, I am following in the footsteps of my Siberian ancestors, who were Tofalar people, a small tribe in what is today Tuva in Siberia. My great grandmother was the the healer-shaman of our people. My grandma Aniani and my father (Ada) followed a shamanistic worldview and in it I was raised and followed it ever since. From my mother’s side I am Manoush Gypsy. My maternal grandmother, Elizza, was a ‘shuvihana’ = healer for Animals and people and she also read the crystal ball and Tarot from about 1896 to 1945. I read and use Tarot in my work with my clients and as a way of honoring my Manoush side and use daily card draws for personal reflections and meditation. I have practised, taught and used shamanism and shamanic healing pathways with my patients, clients, in schools, Pow Wows and the health care system. 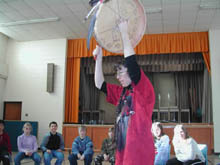 I lead circles and gatherings that focus on teaching, healing, ritual, drums and drumming, human growth and well-being. Here I want to post about some of my work as a shamanic practitioner of Siberian indigenous heritage, as a healer, about my visions, my poems, my shamanic artwork. Many early posts also will be about my explorations of the world of Tarot and how shamanism and Tarot cross-pollinate each other. However, since then I also have opened a separate blog just for Tarot and forays into the world of Oracleswith the URl see above. Well, sometimes a post may fit in either blog, then I make a not on both and you decide….. I am a part of the living Universe and the living Universe is a part of me. You are a part of the living Universe and the living Universe is a part of you. All Beings, human and none human, are equal. 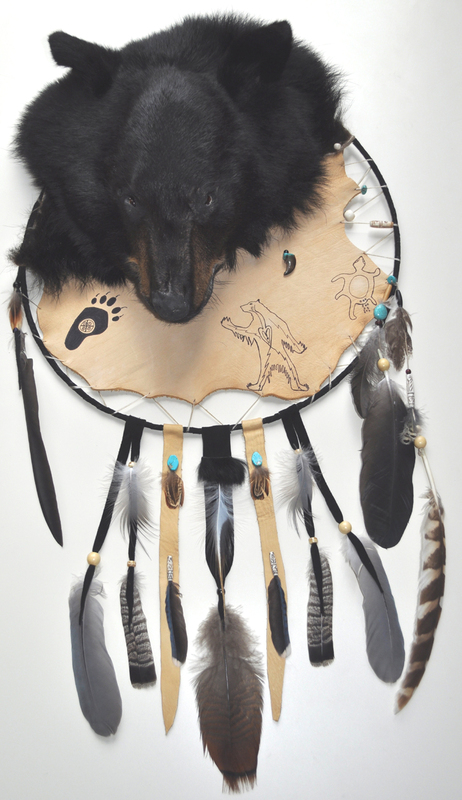 Bearpaw Jewellery the company Mi-Shell and husband Peter own, is a means for Mi-Shell to translate the mysteries experienced in trance and visions into tangible reality and to share it all with her community. 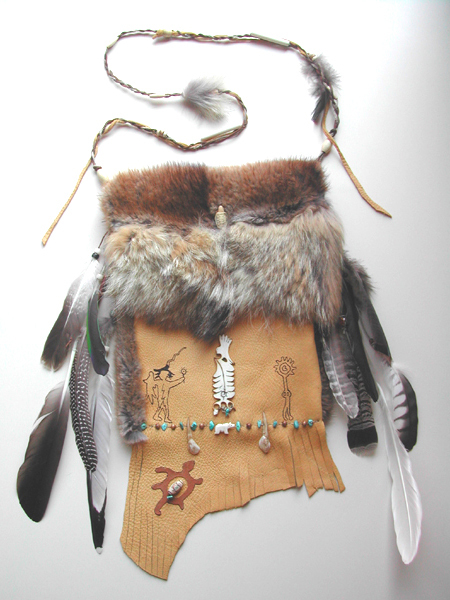 Her shamanic Medicine pouches, ritual tools and other mixed media art are unique and sought after by collectors. is a company Mi-Shell founded to allow her to bring shamanic as well as world rhythm drumming into schools, universities and health care settings. You sound fascinating 🙂 Can’t wait to start reading your blog! thank you so much for sharing you! 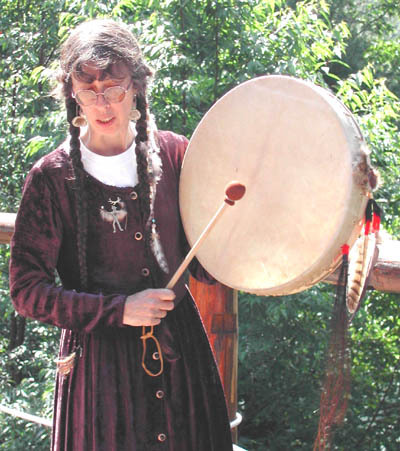 Welcome to Shamanic Drumm, Judy! I like this blog very much, Its a very nice place to read and get information. “There is no human problem which could not be solved if people would simply do as I advise.” by Gore Vidal. I love reading about you and your life Mi-Shell, so interesting! I’m in need of great horned owl feathers three from each wing and the center tail feather they need to be real ones for a scared bundle. Can you help? Thank you for your blog. I just signed up to follow, and look forward to future posts. It is a blog of similar spirit of a shamanistic path.